At Allied National, we offer a variety of unique group benefit products so that we always have the right solution for your group! In this section of our site, we've included information we hope will be helpful to you – information on Allied's benefit plans, valuable news, frequently asked questions and PPO network information. 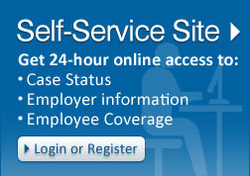 This form is required and allows one or more representatives of the Employer to access the Self-Service website. *Please note: This form is NOT required for member access to their personal information. Download and use a variety of educational resources, including emails, flyers and PowerPoints to help your employees better understand their benefits. Not all of the benefits listed will be available to your employees, so please check your plan information to be sure the benefits you are promoting apply to your group. Level funding is the most cost-effective way for an employer to fund their group health benefits. By deleveraging insurance costs and funding first dollar claims, costs can be dramatically lowered. 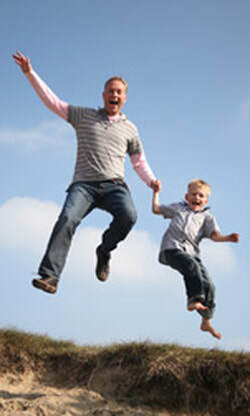 To learn more about level funding and to read success stories, visit www.selffundingsuccess.com. Traditional major medical coverage featuring PPO networks to help control the cost of benefits. Allied's Freedom and MEC Plans reimburse health care providers using a specific percentage above Medicare allowable reimbursement for each service. These plans are often called "Medicare plus" because they pay more than Medicare. The member's ID card lists the rate of reimbursement and members will not be responsible for any balance billing from providers who might not accept the reimbursement levels of the plan. Cost Saver uses a PPO network and provides 100% coverage for preventive care. It also meets Minimum Essential Coverage (MEC) requirements for Applicable Large Employers subject to the Affordable Care Act employer mandate. Designed for groups of 2-99, Allied's Dental Design offers affordable dental insurance benefits and many plan options that allow groups to choose the type of coverage that best fits their needs. Dental Design also offers a vision plan option for plan participants and their dependents. Our Employer Benefit Adviser goes to Funding Advantage clients informing them about the Affordable Care Act rules and regulations and employee benefits. Forms and guides at your fingertips to help you manage your health plan. This ACA mandate (also referred to as Pay or Play) requires large employers to provide health benefit coverage that is affordable and meets Minimum Value standards. Do you have an employee that needs short-term health insurance?